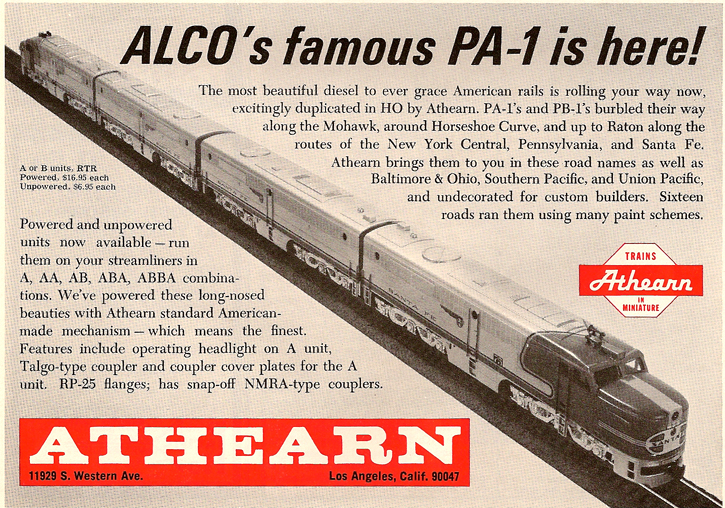 August 1970 brings, "ALCO's famous PA-1" to the Athearn line. 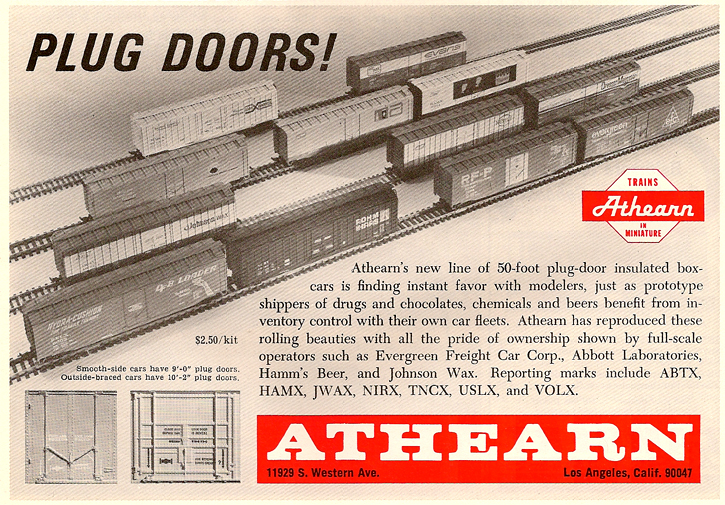 Athearn promotes Plug Doors in this October 1970 ad, specifically the Modern Billboard series is on display. 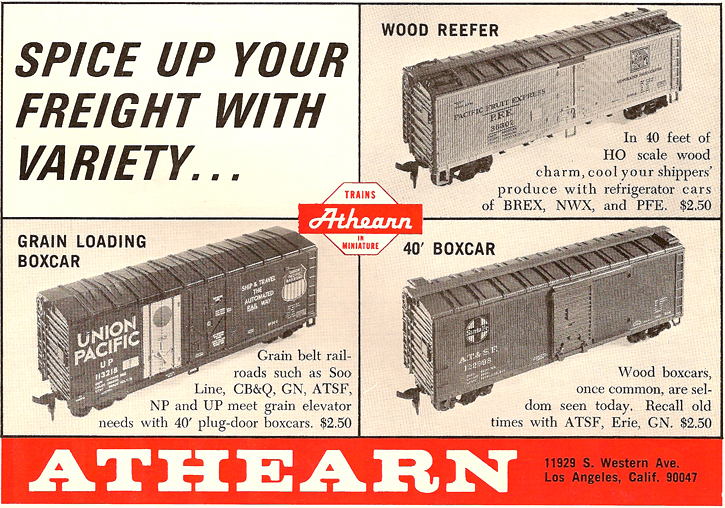 November '70 has Athearn displaying the recent 40' Grain Loading Box Car and the 40' Wood Box Car and Reefer offerings. 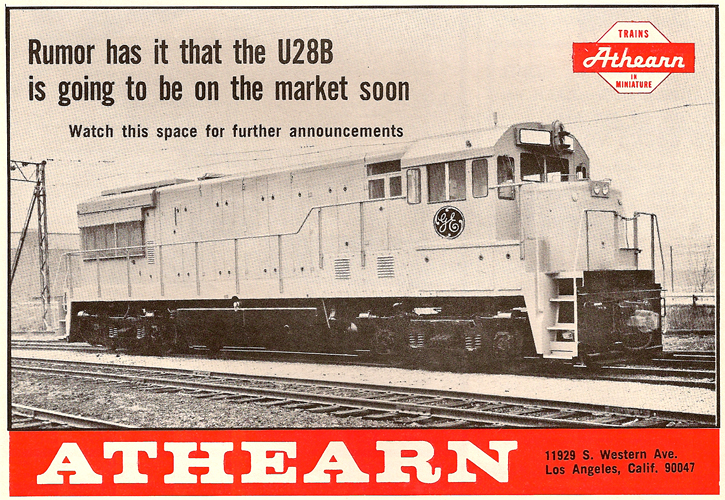 December 1970's Model Railroader includes a teaser ad from Athearn for the coming GE U28-B diesel. Please note that this site was created for use by those with an interest in HO-scale model trains and does not necessarily represent the current Athearn line available today. The author is not affiliated with, nor representing Athearn and/or Horizon Hobby in any way. This site is intended for your enjoyment and information only. Images and information presented on this site comes from a variety of sources including magazines, internet, catalogs, visitor input, and the author's collection.